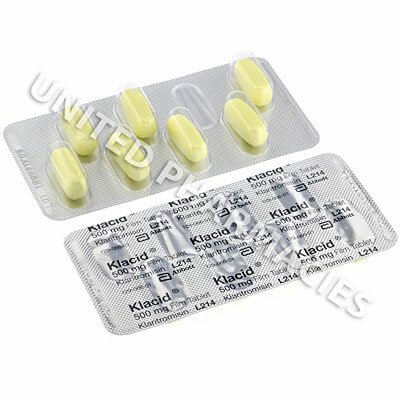 Klacid (Clarithromycin) belongs to a group of medicines called macrolide antibiotics. Physicians prescribe it for treating pneumonia, bronchitis, as well as other types of bacterial infections, such as those affecting the skin, ears, sinuses and elsewhere in the body. Please be aware that this medication has been packaged in Turkey, and all information printed on the packaging is written in Turkish, and not in English. 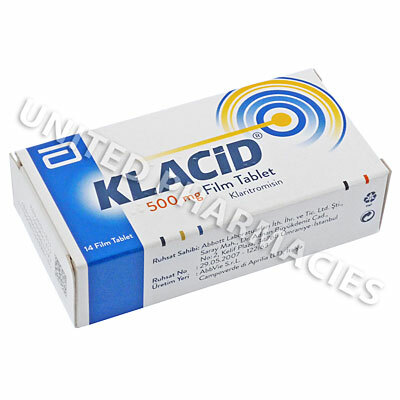 Klacid (Clarithromycin) belongs to a group of medicines called macrolide antibiotics. Physicians prescribe it for treating pneumonia, bronchitis, as well as other types of bacterial infections, such as those affecting the skin, ears, sinuses and elsewhere in the body. Patients with HIV may be given this drug as a treatment or preventative measure for a type of lung infection called mycobacterium avium complex (MAC), and it is often used together with other drugs to eliminate a type of bacteria called helicobacter pylori, which can cause stomach ulcers. 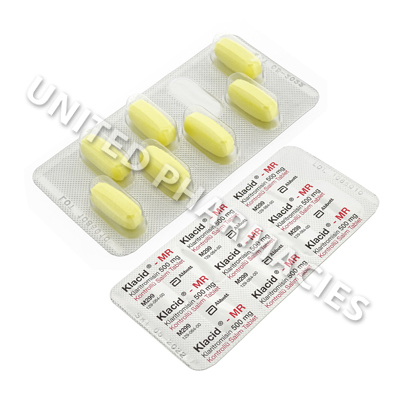 However, this drug will not treat viral infections. 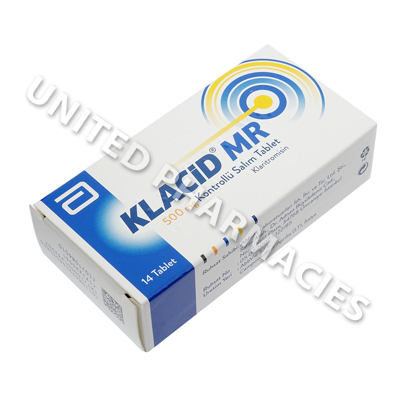 After a medical examination, your physician will tell you the correct amount of Klacid (Clarithromycin) that you need to take. Adult patients undergoing treatment for pharyngitis caused by streptococcus pyogenes may be told to take 250mg every 12 hours, for a period of 10 days. Treatment of sinusitis may sometime require a dosage of 500mg, taken every 12 hours for 14 days. However, the dosage regimens listed here are only examples, and the exact dosage prescribed can differ for each patient. Therefore, it is important to only take the amount prescribed by your physician. If you experience any side effects, you should notify your physician. Severe reactions are considered to be less common. However, you will need immediate medical care if you experience double vision, discolored urine, fatigue, appetite loss, skin blisters or any other symptoms of a serious reaction. If this medicine has been prescribed to you, it is very important that you continue taking it until you have finished the entire amount prescribed to you (unless your physician tells you otherwise). Premature cessation of treatment may result in a return of symptoms. If you notice signs of a new infection, you must see your physician straight away.